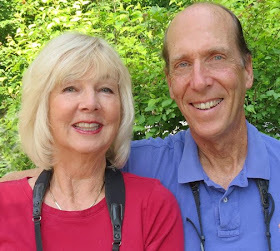 STOKES BIRDING BLOG: Canon SX 50 HS for Bird Photography: I love this camera! 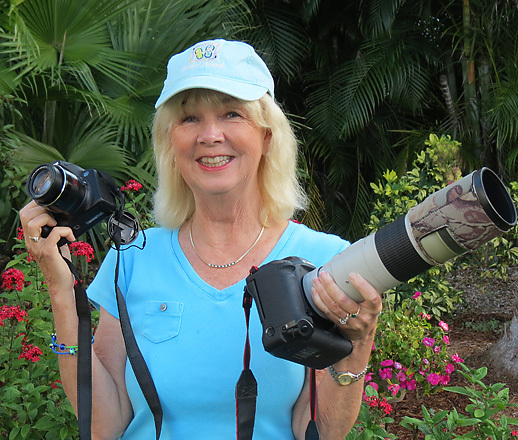 Canon SX 50 HS for Bird Photography: I love this camera! If you are reading this here's what you need to know. 1. The Canon SX 50 is better than the new Canon SX 60 and I have both cameras. I still think the SX 50 is a great camera. If you can, get the Canon SX 50. Some may still be available. Even a good used or refurbished one is worth it. Canon now has the SX 70 and I will be getting that soon and reviewing it. From what I hear it is still not as good as the SX 50. 2. I will still give you my 10 pages of very extensive tips on how to use the SX 50 for bird photography if you email me for them. My email is on the top right of this page. I have given my tips to thousands of people all across the world. My tips are much more extensive than this blog post, and will help you much more than the SX 50 manual. 3. If you bought the Canon SX 60, some of my tips for the SX 50 will help you. The Canon SX 60 does not product as sharp photos at full telephoto extension and Sports Mode does not work as well as with the Canon SX 50. See my review of the SX 60 here. or The New Stokes Field Guide to Birds, western edition. Here are a few sample photos I took recently with the Canon SX 50. 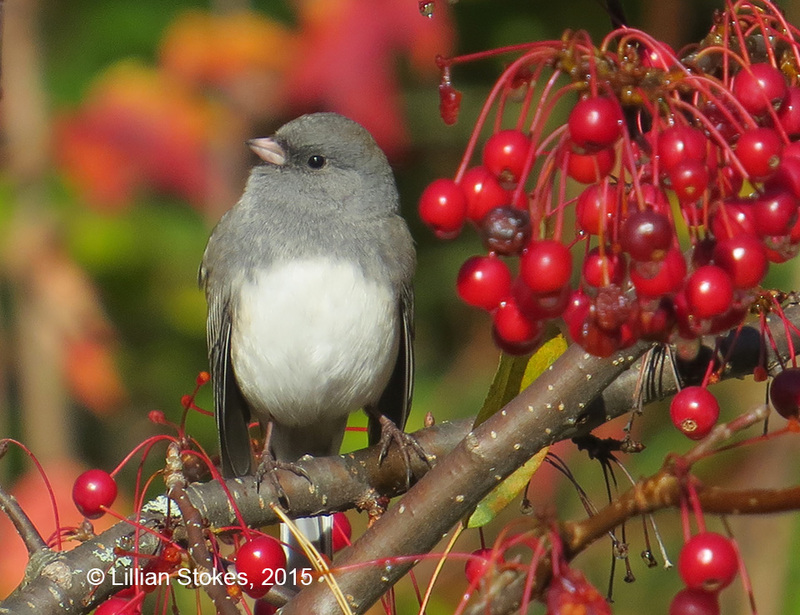 Here is a Dark-eyed Junco in my crabapple tree. Photo is untouched except for cropping. 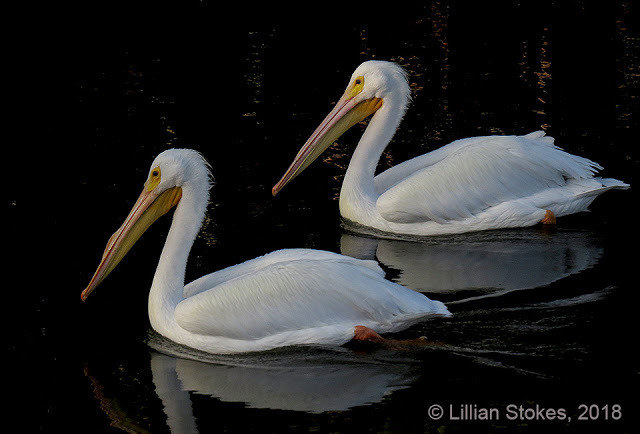 I'm Lillian Stokes, prominent American bird author and photographer who, along with my husband Don, have written 35 best-selling books on birds and nature including the best-selling and one of the most comprehensive national photographic field guides ever written, The Stokes Field Guide to the Birds of North America. Also available are the regional east/west editions of this mentioned above. News Flash: My new book, The Stokes Essential Pocket Guide to the Birds of North America was recently published! 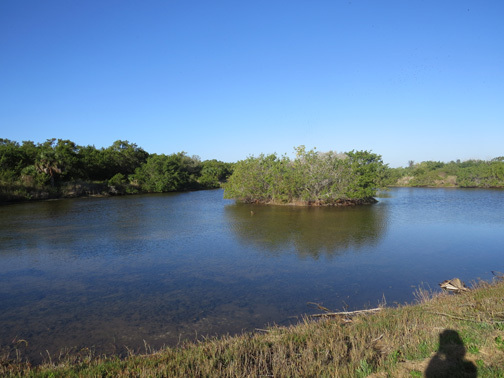 It has fantastic large photos and covers 250 North American bird species. 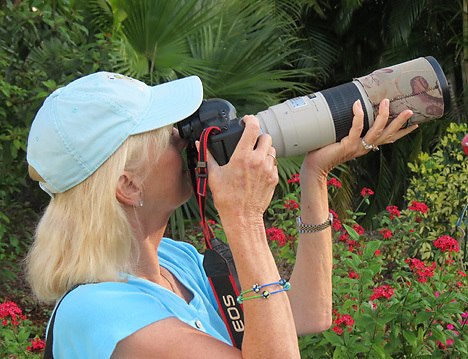 At just the right size, you can slip it in your pocket when you go out to photograph birds. Get this book, it is perfect for beginning and intermediate birders. Amazingly, two of the main photos in this book were taken with my Canon SX 50! 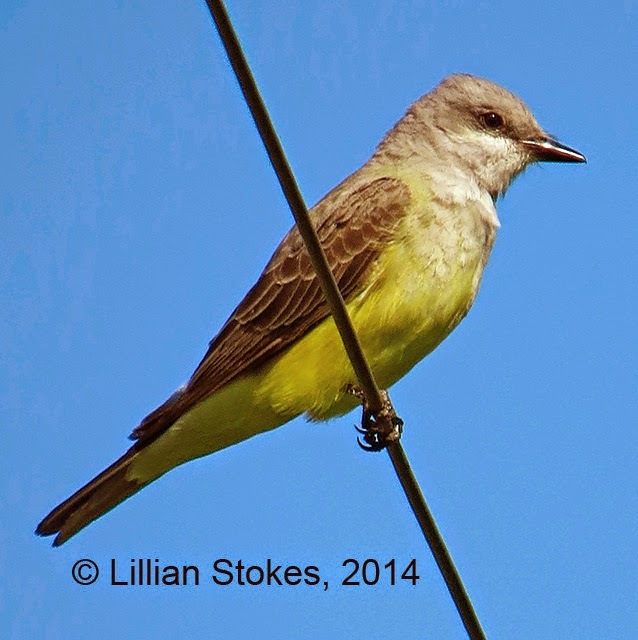 Here they are, this Western Kingbird and this House Wren. By the way, Canon does not pay me to say nice things about the SX 50 and I am not paid by Canon to endorse this camera. I just happen to have gotten the camera, like it, and want to tell you about it you so you will come to enjoy birds and photography because of this camera. The more people become attached to birds the more they will want to conserve them. Over 130,000 viewers have read my original post and then thousands have gotten this camera and are enjoying it. This camera has converted many people to bird enthusiasts. The information below is all about the Canon SX 50 HS. 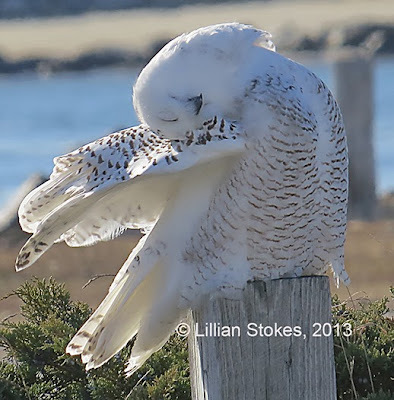 Just for fun, here is a photo I took in winter with the Canon SX 50, from a car, of a preening Snowy Owl on the NH coast. Warning! Reading this blog post could cost you money. I just got the new Canon SX 50 HS point and shoot super-zoom camera and I love it. It's in my right hand, my Canon 1D Mark IV with the 300mm lens and 1.4 teleconverter is in my left hand. The SX 50 HS has a 12.1 megapixel back-illuminated CMOS sensor, DIGIC 5 image processor, image stabilization, ISO 80-6400. The focal length when optical and digital zoom are combined is as follows (35 mm equivalent) 24-4800 mm (24-1200mm with optical zoom alone.) It can shoot RAW. Here are some of the reasons why I like the SX 50 HS. It shoots birds in flight fairly easily in Sports Mode, as I found out yesterday when I tried it out on Brown Pelicans and got this photo. 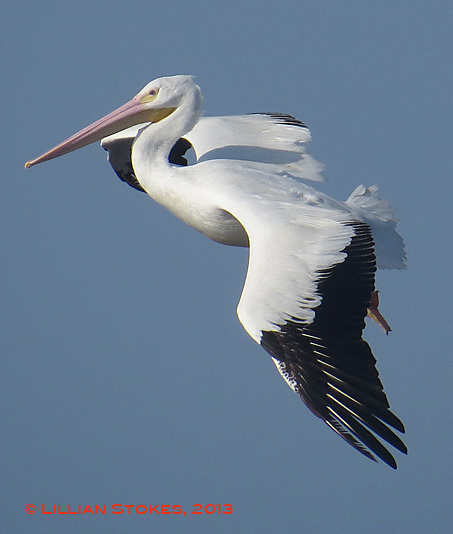 Or how about this photo of a White Pelican I took recently. 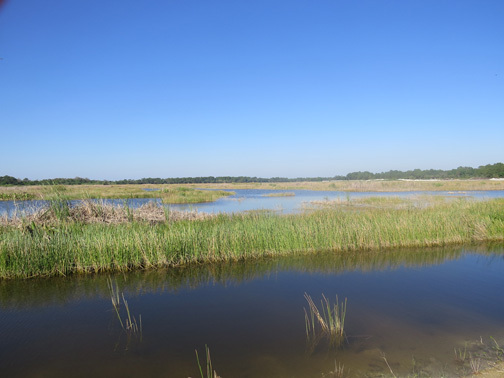 Recently I took the Canon SX 50 for a test spin to Harn's Marsh in FL. See the ducks in the pond near the far shore? Here are the ducks zoomed in a little closer, they look like black spots. 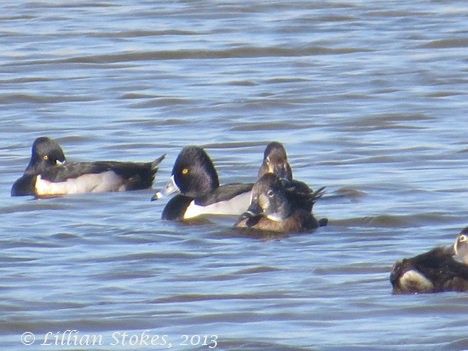 Now here are the Ring-necked Ducks photographed with the lens zoomed all the way in, past the optical zoom range, into digital zoom of 200x. Camera was set on Smart Auto photo is untouched. 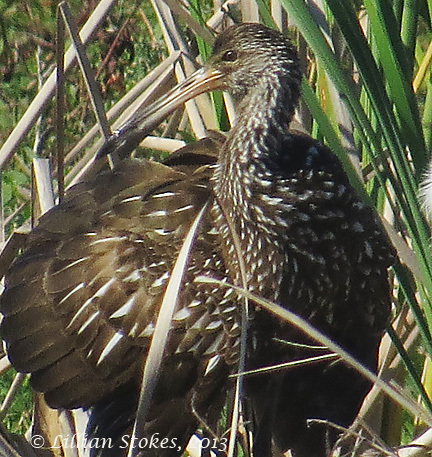 There were a number of other birds that were just too far away for my other DSLR cameras, such as this Limpkin in the far cattails. 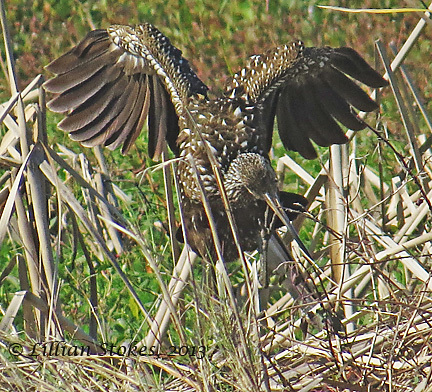 The Limpkin was preening then stretched. 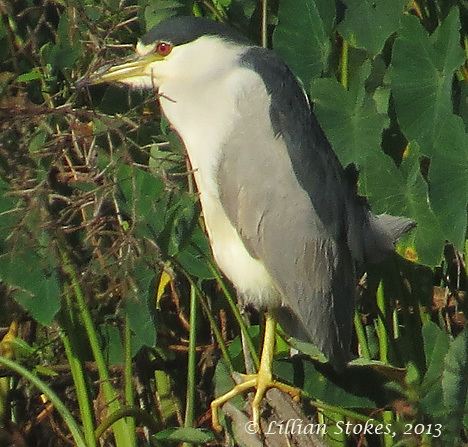 This Black-crowned Night-Heron was way out of the reach of my usual cameras. There is something immensely fun and powerful in being able to zoom in on very distant birds and get a photo. The camera has great abililty just set on Smart Auto and people should have little problem photographing close, or relative close, birds in decent light. The harder part is hand holding the camera still when you are zoomed all the way, or a good part of the way, in on a bird. Many people may not want to or be able to do this, but that is where the fun is for me. Here is my tip for steadying the camera while hand holding and shooting with the lens zoomed in closer on the bird. To steady the camera look through the viewfinder with the camera braced against your head. Do not shoot while looking through the back screen. Hold the barrel of the lens with your hand all the way out on the barrel and tuck your elbows against your body, making a tripod of your body. Try to hold as still as possible. Depress the shutter half way to focus on the bird, then take the photo quickly. If you then lose the bird in the viewfinder, zoom back out to give you just a wide enough field of view to find the bird again, zoom in, then get the bird in focus and take another photo. To refined a bird you lost in the viewfinder, you can also use the uppermost button on the left had side of the camera near the base of the lens for Framing Assist-Seek. Hold this button down and the camera zooms out, allowing you find and reacquire the subject. Take multiple photos, some shots will be sharper than others. 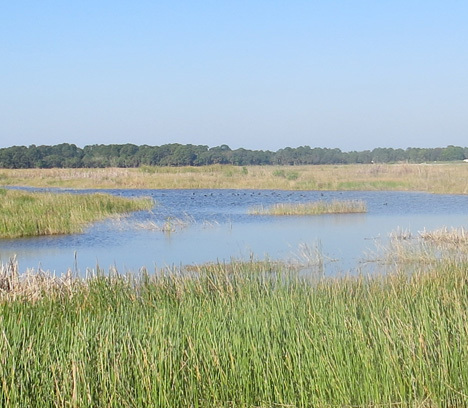 Another place we went recently was the Bailey Tract on Sanibel. 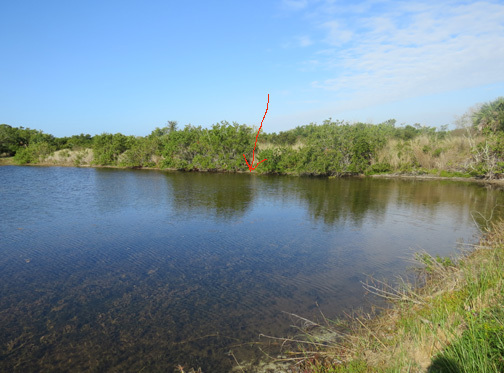 See the Wilson's Snipe on the far shore? Here it is with the camera zoomed in to 200x. 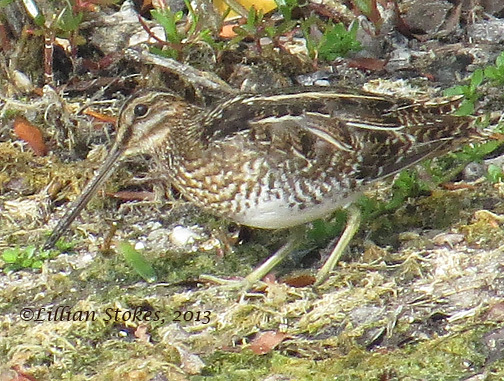 The Mottled Duck was closer than the snipe, see the dot in front of the island? I am standing on the bank taking the photo with the camera on 24mm. 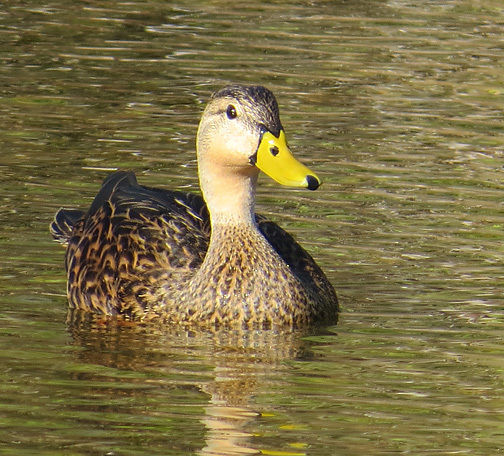 Here is the Mottled Duck taken with camera on Smart Auto and the photo only slightly sharpened in photoshop. 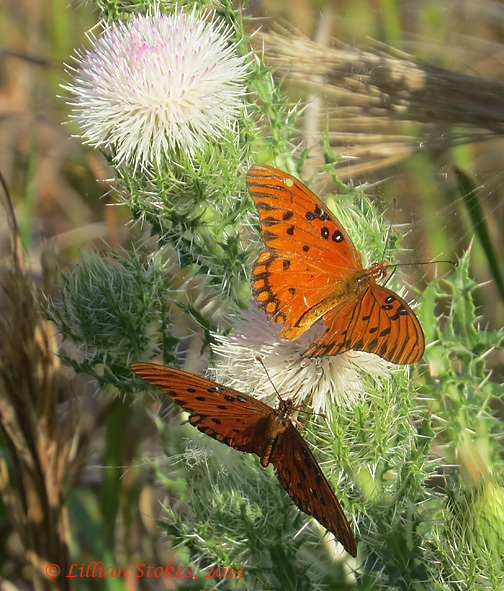 There were Gulf Fritillary butterflies at my feet and it was so cool to be be able to take their photo as well as the distant birds. The view from my back deck in my FL home. See the eagle? Here it is zoomed even closer. Note, with many of these photos I have pushed the camera to its limit at 200x and at this range, photo quality drops. I have steady hands so for me, it's fun to zoom all the way. To get good photos, use the camera in good light and keep it in the optical zoom range of 24-1200 mm. This camera does best in good light and photo quality diminishes in low light. If you are really not steady, you could use the camera on a tripod, but I do not advise this. 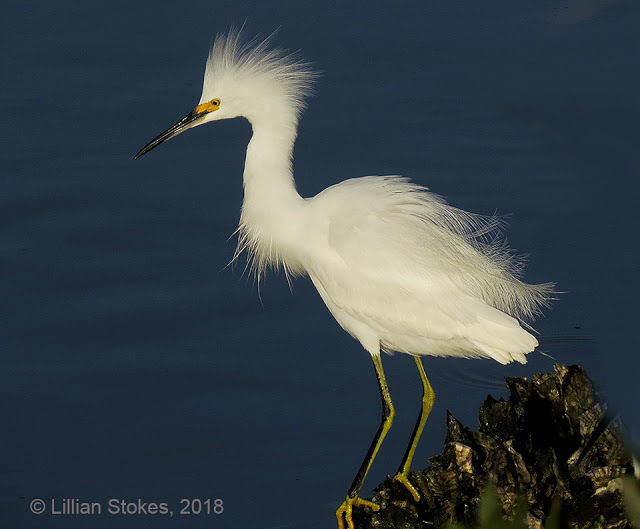 To zoom closer to the bird, use the Digital Zoom which lets you apply up to 1.5 or 2x (up to 2400mm) worth of digital zoom beyond the optical zoom with a minimum drop in image quality, sort of like applying a 1.5 or 2x teleconverter. To access this feature on the regular camera menu, set the camera to AV or P mode and scroll down to where it says Digital Zoom and your choices are to set it at Off, 1.5x, 2.0x or Standard. Standard lets you zoom all the way in 200x, but there will be a loss of image quality at this far range. You can also use the "Framing Lock" button (on the bottom of the lens barrel) which helps stabilize the image when you take it. At these extreme zoom ranges, such as 200x, the photo quality is not usable for many things such as fine prints. However, for use on blogs, a facebook page, etc., and the internet, which only require photos of 72 dpi, these photos may be usable. Most of these photos I took had minimal processing just a little sharpening in photoshop. Images shot closer, at lower ISO and within the optical range would be much better. I mainly wanted to show some of the extreme things this camera is capable of. Don't get me wrong. The Canon SX 50 HS does not produce the same quality images that DSLR cameras do and you should consider purchasing these if you want high quality images. I really like my Canon 1D Mark IV, shown here, and I have gotten incredible photos with it, many used in our national field guide, The Stokes Field Guide to the Birds of North America and our just published regional guides based on the national guide, The New Stokes Field Guide to Birds: Eastern and Western Region. I now use use the Canon 1D X or my new Canon 7D Mark II with a Canon 100-400 IS II lens or my Canon 500mm IS lens with 1.4 teleconverter, Gitzo 1325 Carbon Fiber Tripod and Whimberley head. The Canon SX 50 is not in the same league with the big, professional, or near professional DSLR equipment. Then again, it costs around $430 vs. the Canon 1D Mark IV originally cost around $5,000. At Harn's Marsh I had my Mark IV with the 300 mm lens with 1.4x and in seconds got this Harrier shot. I could not have gotten this with the SX 50. 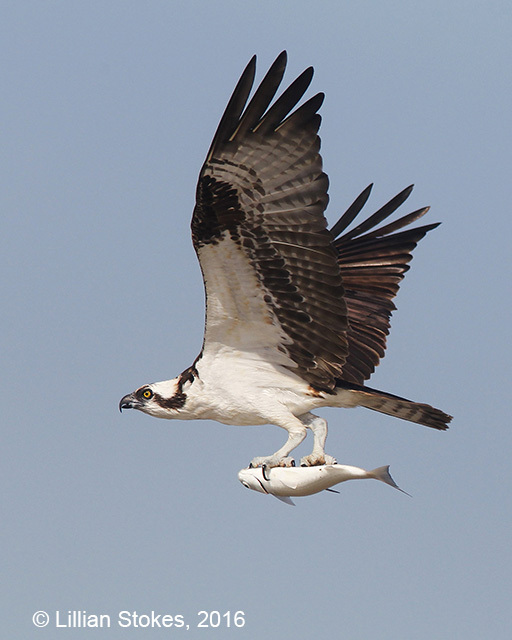 There is nothing like the thrill and adreneline rush of capturing something like this Osprey with fish with pro equipment. You photographers with similar equipment who are reading this know what I mean. 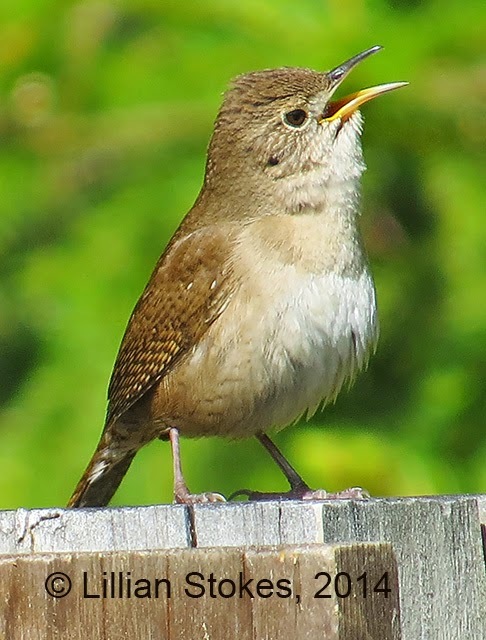 However, the Canon SX 50 HS can make decent bird photographs within the reach of even a novice bird photographer just by shooting on Smart Auto, then Sports Mode for birds in flight. You can do even better if you learn to use it in AV mode. In the hands of more experienced photographers it can provide great fun and the ability to capture good bird photos, even when birds are impossibly far away. It will make getting record shots of birds more possible because the reach of the camera is so great. 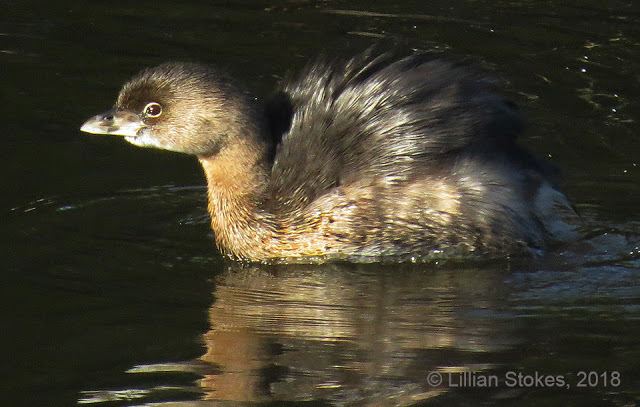 It may convert many to bird photographers/birders and give them a love for and appreciation of birds. That would be a great thing. It is interesting to me that just about every birder, experienced bird photographer, or novice birder/photographer I have showed this camera to in the last week has said they want one. 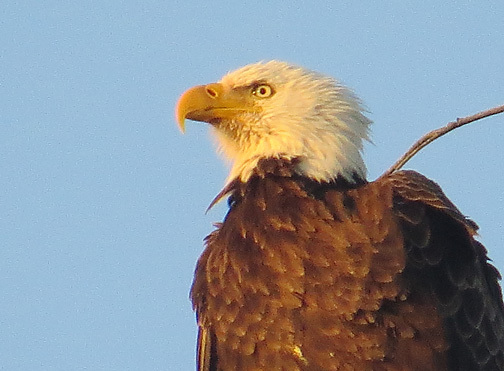 The light weight of the camera and ability to zoom in so close on a bird just blows people away. There is so much more to say about this camera which does so many things. If you want my much, much, more extensive tips on this camera, including what setting to use and info. on bird photography, email me. Email link is on top right of this blog. Here are some of my basic tips. - Start with Smart Auto, especially if you are a beginner. It is excellent for many situations, especially if there is good light and the bird is not moving very fast. It may overexpose white birds. - For flying or fast moving birds, or even birds in vegetation especially if they pause, choose Sports Mode which shoots at about 5 frames a second. The camera chooses the exposure for you. In this mode you can use Exposure Compensation which allows you to adjust for an over or under exposed photo. If the bird you are photographing appears too light, or too dark, go to the Exposure Compensation setting (looks like a ruler) and move the indicator to the plus side to lighten the photo or to the minus side to darken the photo. I use this Sports Mode setting frequently, even for warblers! - For more control over photos, use Aperture Priority (AV). You choose the aperture and the camera picks the shutter speed. The range is F3.4-F8. I often use this mode and set ISO and Exposure Compensation as needed. Make sure you set the "Continuous Shooting" menus choice in AV to give you a faster shooting speed of about 2.2 frames a sec. Some people use Program Mode (P), where the camera sets the aperture and shutter speed for you and there is access to all the same menu options that are available in AV. I prefer AV since you can still set the aperture here. 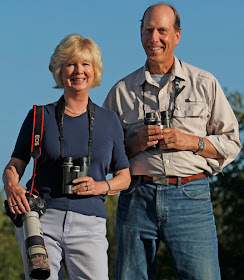 Most bird photographers I know use AV. - Even though this camera shoots, RAW, I do not use that much as most of the photos I take are for use on the internet, which uses lower resolution .jpeg images. - You must read the manual, which you download to your computer as a PDF. Read it multiple times and learn all the dials and how to set the camera functions. However, as I said, if you have this camera and want my much more extensive tips on how to use it, email me. Email link is on top right of this blog. The manual won't help you know which setting to use for bird photography. If you are interested in photographing birds you need to accurately identify the birds you photograph, so get our photographic field guides. Our guides have outstanding bird photos taken by the top bird photographers in North America, look at them for inspiration and learning! 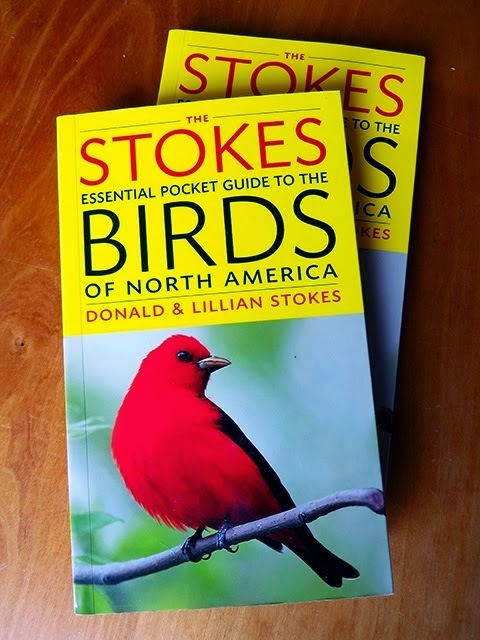 Our newest book is The Stokes Essential Pocket Guide to the Birds of North America, available now BUY Now! click here. So handy you can slip it in your pocket. 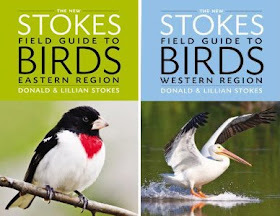 The Stokes Field Guide to the Birds of North America, the most complete photo guide available, which contains 3,500 stunning photos (many of them from me and other top bird photographers). 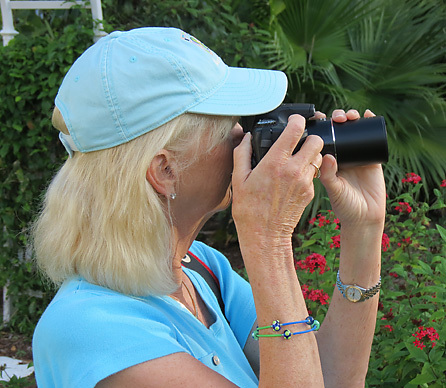 These beautiful photographic guides are the best way to identify all the bird photos you take!! Practice and most of all, have fun!!! I need to replace my Nikon CoolPix P100. I think this Canon X-50 point and shoot is going to be the replacement. The photos you shot with it are excellent. I love the before and after zoom. WOW you mentioned this in another recent blog and I went to amazon and put it on my wishlist. My husband asked why I had another camera on my wishlist, I just sent him your post. I love my big camera too but for traveling this would be fantastic, it's not always easy to haul alot of equipment around this seems like a fantastic alternative. I remember watching your show many years ago and am thrilled to have connected with you again. Thanks for all the good information! Thank you Lillian for this post. It has helped me to decide which camera to buy, hands down. Would be nice to see some full-size crops of the same subject taken with the two cameras. Glad you had the comparison for the SX 40. I currently have it and have been very disappointed. (I had the S2 IS and S5 IS previously and adored them both). In comparison I've found the quality of the SX 40 sadly lacking - was debating whether or not to switch brands. Also have had great difficulty with the SX 40's battery and charger... have you had difficulty with reliability on either the SX 40 or the SX50 regarding the battery? Bird worthy. I have had no problem with the batteries. SX 40 lasts longer. SX. 50 I charge each night. The SX 50 is miles better then the SX 40, takes great photos just on smart auto, way better tracking ability and is faster. It makes birds in flight mush mush easier then the SX 40, just using Sports Mode. Just wondering if the camera will take multiple shots, sort of bursts if you will? Would be great for flying birds. Rives, In Sports Mode, it fires a rapid series of shots. 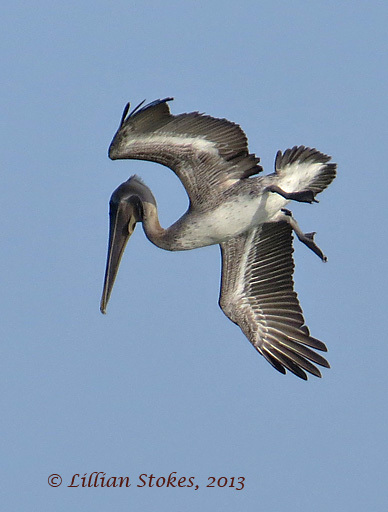 The Brown Pelican was photographed in Sports Mode. Under the SCN dial there is the High-speed Burst HQ setting which shoots up to 10 high speed images at full resolution. Great to see you support and work with the SX50 HS and yes it will cost money even if you own an SX40 HS. Thanks for your post on the use of these good Cameras. I wish I had read this blog before purchasing a camera. I have a Nikon P510 which I'm totally impressed with. I've been able to get some awesome pictures of the Osprey and just recently the Eagle here at Lake Mitchell where we live. Love your blog. By the way I was a Stokes. Most of my Dad's people were from Andalusia Alabama. 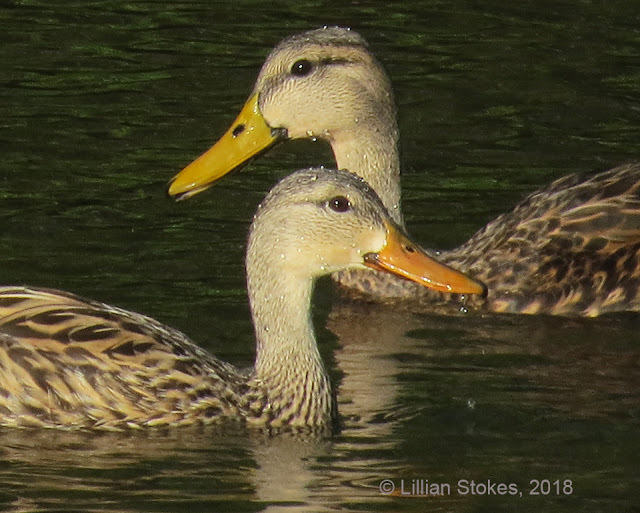 Love taking pictures of the birds, ducks and geese here on the lake. I wish I had read this blog before purchasing a camera although I have a Nikon P 510 that is doing a great job for me as an amateur. I've made some great pictures of the Osprey & Eagle here on Lake Mitchell. I did pick up some tips from you on settings and and shake control that I plan to try. By the way I was a Stokes and most of my Dad's family was from Andalusia Alabama. Thanks for your help. I am totally sold on this camera after reading your posts, and seeing your amazing bird photos. I've seen other excellent reviews, too. It's definitely going on my wish list! Just returned from a week in Cancun with my SX50 HS. I found it to be an excellent vacation camera. The zoom range from 24-1200mm is unbeatable, and the image stabilization is so good that I had no difficulty shooting hand-held at 1200mm. I just recently bought the SX50 after having my humble 5MP 4x zoom A610 for quite a few years and am so excited about it. I can hardly believe these beautiful photographs you took HAND-HELD at 200x zoom ! ! ! These are an inspiration for me to aspire to. Thanks so much for your tips on how to achieve such a feat. You're a star ! OK, so I bit the bullet and picked up one of these beauties just six days ago, and let me tell you - I am in love! Though I've just barely started learning all the functions, some the photos I was able to get out in the field last Saturday were stunning! I had previously used a Nikon D60 DSLR with two lenses (18-55mm + 55-200mm)and in my opinion this little Canon blows the D60 out of the water. Were it not for seeing your original post on Facebook, I would not have discovered this little gem. Sure, it cost me $$ but it's SO worth it! Thank you, Lillian! My SX50 HS came by UPS today. I got it for "free" with my Chase Sapphire Preferred points. I took a few "test" photos. I'm impressed. I can't wait to learn all of the functions of this camera to get the most out of it. Thanks for this blog post. Now to find a case for the camera and accessories . . . . 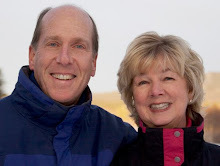 Thank you Lillian and Don for a great presentation at Ding Darling on March 1. We got back to Illinois and bought the Canon camera...our first serious camera! 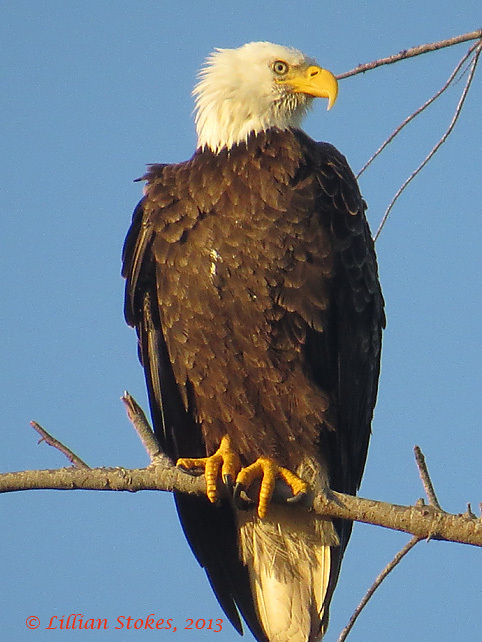 My husband, who has never taken any photos, is now taking bird pics at our local forest preserves and enjoying it so. 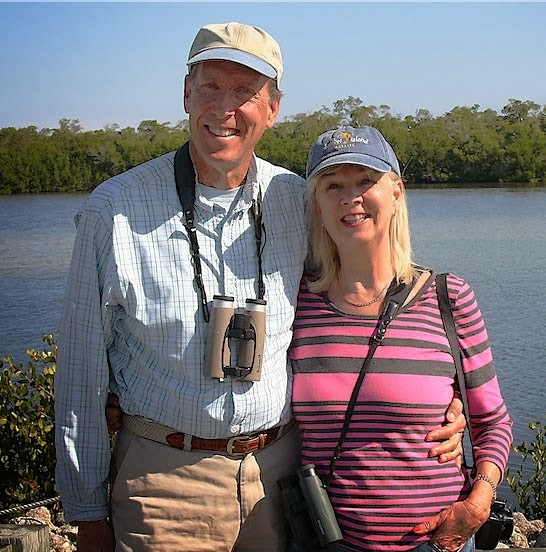 Can't wait until we can return to Sanibel and take pics of their fabulous birds....no more iPhone photos at Ding Darling! Thank you both also for signing our Stokes field guide. We wish you continued success! I read this post and told my wife that I wanted this for my birthday. I have had it for a week and am astounded. What a step up from digiscoping (most recently with my iPhone held without an adapter)! Focusing on little birds in the brush is hard, but when it works-WOW! Blows nearly every picture I have ever taken out of the water. 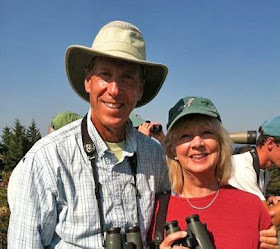 I sent the blog post to my birding buddy and he will get one too. Some day I will read the manual and try out everything it can do, but Auto has worked well so far. Thanks for posting this! After reading this review, I bought the SX50 before our recent trip to India. LOVE the little camera. Got some awesome wildlife pics, and the easy on, video button was a real killer when a tiger walked out, 20 ft away. The camera shoots amazingly clear, sharp pics, even at full optical zoom...like you said...and amazed many of the full size DSLR camera guys with their massive lenses. You HAVE to have this as a travel cam. Thanx for the review. Your warning was right. Read your review and many more and bought one over the weekend. Slick little camera and so much lighter that my friend's camera with big lenses. A year so I swore I would never get another camera, but the optics keep improving. Still struggling with Canon's software. You were right. It cost me money. What a nice little camera. And do much lighter that digital SLRs with big lenses. Canon's software is a bit confusing. Why I need two different softwares to get the pictures to where I can use photoshop, I cannot understand. By the way, you do not need to use Canon's software that comes with the camera, I don't. Just download your photos and open them in Photoshop if you want to sharpen them etc. Hi, I am an amateur photographer and I bought a couple of months ago the canon sx50 hs, and I would love some tips from you- shoot RAW or JPEG (if RAW with what software should I open it), which mode should I use ( if manual what will the settings be) and more tips that I would love to learn from you. Thank you! 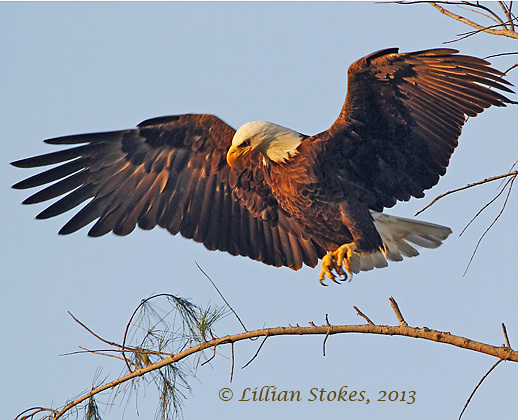 Could you let me know how easy it is to track and photograph a bird in flight using the viewfinder? Hi, I'm an amateur photographer and I bought recently the canon sx50 hs and I would like some tips about photographing birds from you, for example-in which mode should I shoot birds-if manual what will be the settings. Shoot RAW or JPEG and if RAW with what software to open it (photoshop CS6, picasa etc.) and more tips. There's no need to use Canon's software whatsoever. I have an SX50 and I have never taken the Canon cd out of its sleeve. All you need to do is remove the SD card from your camera, pop it into your computer and, once it's been recognised, you can either open the jpg's or transfer them to your hardrive for subsequent editing. By the way, I use Lightroom which is a really fabulous software for general cataloging and "developing". I find it much more intuitive than photoshop. You can view many images at once and do so much. Check out any of the video tutorials on youtube. thanks for the review. just got an sx50. do you use flexizone or tracking AF? thanks for the review. can you tell me if you use Flexizone or tracking AF mode for focus. I owned the X-50 for about a 6 months now and I love it but I hate the location of the adjustment wheel. It was a big problem that when I went to shoot my thumb would activate the time delay and it would set to 2 seconds a real pain. I have since glued a "O" ring around the dial and this helps but no make it a bit harder to adjust. I take it with my when I do BIF along with my 7D. Interesting solution. I do not have that problem, I hold the camera by the lens barrel with my left hand for the main support. Thus, I do not have to push hard to hold it with my right hand in a grip and my thumb does not push on the control wheel. There is a thumb rest indentation on the right top of the back of the camera and if one rest the thumb there, it does not push on the control wheel. Still, the wheel is delicate and pushing on the right of it will activate the custom timer. Some of this may depend on hand size also. The SX50 photos are impressive to say the least. I am curious if you prefer to shoot in RAW and edit, then convert, or do you prefer jpg for birding in general and big specifically? Two months back I PURCHASED CANON SX50HS after going through your biog. I love it. The best travel camera. Muy buena Información, genial tú blog!! 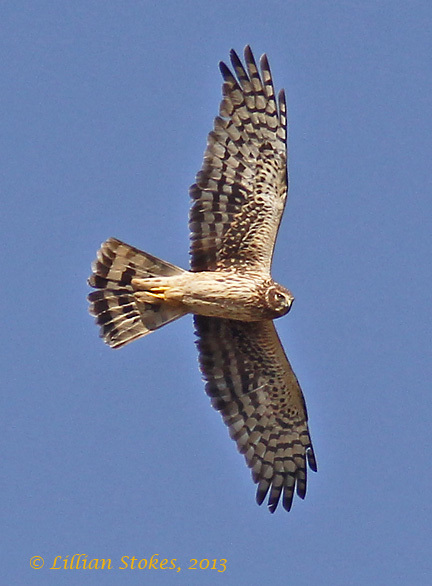 I take a lot of long shots at "hawk specks" during our hawk migration here in the bay area. My Nikon 5100 with a 300mm telephoto struggles with focus on these distant specks in what is usually a blue sky, but often will find the birds. I would love to have a bit more magnification but the local camera shop says I'd be spending much more than budget allows. 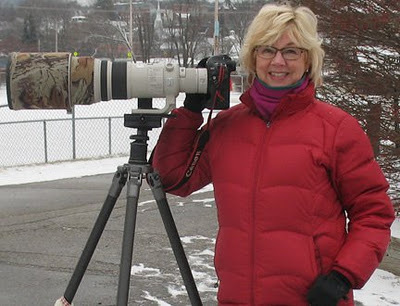 The price of a better telephoto on my dslr is just to steep for a retiree but my family is softening to getting me a "bridge" camera like this one. This or the Nikon P520. 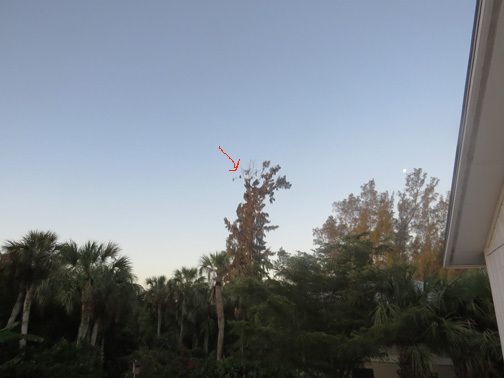 In your experience how easily and clearly does a camera like the SX50 focus on a single distant bird in flight? Occasionally I just want to take a photo of a distant bird, go home and see if my id is verifiable...not looking for art shots but hoping for some clarity and ease of use. Thanks for your help, birthday has arrived and Xmas is close, so maybe a "bridge" camera is a more possible alternative to saving up for a few years and getting a good telephoto for my Nikon 5100. Thanks for posting an excellent review for the sx50... it was just what I needed to read. I was pretty sure this was the camera I wanted, and I've read enough product reviews, but yours was the best and most informative for an amateur such as myself. Other professionals have, in my opinion, been dismissive of it being a bridge and not a DSLR, but never explainging why... other amateurs have thought it the best thing since sliced bread, but are comparing it to a "happysnaps" camera. Your review highlighted its qualities, and its shortcomings (versus DSLR) but in a way that made it clear to me that it's going to be the best photographic investment I could make at my level and for my needs... and my price range. Yes, you're right, your blog cost me money, but it was money I was going to spend anyway... and I was able to give over some of my hard earned with confidence. I photographer birds with my SX 40 HS. Now I planning buy SX 50 HS. You gave much very good information about SX 50 HS. Northern Shoveler, Isn't She Lovely?